The guys you names were quick, but not anything like 155K. Frank Tyson was supposed to be very quick, but others were below Tyson in terms of pace. Former legends like Benaud who has seen Tyson and Thommo both, had compared Tyson to Thommo, but other than that no one says Gilchrist, Larwood, Holding, Griffith were as quick as Thommo or Akhtar. Most of the past or present cricketers have regarded Shoaib Akhtar the fastest bowler ever to have played cricket. dhoni used yadav well, using him after power play when the pressure is less on bowler was great move. tell me the name. Express quicks are who are considered to have clocked 160K. I think u missed dennis lillie. Jeff thompson was the fastest ever to play the game without any doubt. dhoni used yadav well' date=' using him after power play when the pressure is less on bowler was great move. [/quote'] But he gave the first over in Batting PP to Umesh..I liked that... I can't find anything Dhoni did wrong yesterday. His field placings, use of bowlers, batting order etc. was fantastic. I can see the strategic field placings (definitely Duncan Fletcher's hand in it) for individual batsmen. Very happy to see an improved fielding performance by the team.. But he gave the first over in Batting PP to Umesh..I liked that... I can't find anything Dhoni did wrong yesterday. His field placings, use of bowlers, batting order etc. was fantastic. I can see the strategic field placings (definitely Duncan Fletcher's hand in it) for individual batsmen. Very happy to see an improved fielding performance by the team.. Exactly also the fact that he used Yadav in short-bursts. So that he was able to continue bowling quick. Vinay is suited to shorter formats because he has variations' date=' not suited to longer formats. Yadav is more suited to tests. [/quote'] Vinay's variations are terrible. His strength is line and length and a hint of movement which is what works in Tests but fails in ODIs. Vinay's variations are terrible. His strength is line and length and a hint of movement which is what works in Tests but fails in ODIs. are you saying vinay kumar is test material ? I think he's saying he's the kind of bowler who normally prosper in Tests. Not the same as saying he's Test class. LOL @ people who think that Bond wasn't quick. But he gave the first over in Batting PP to Umesh..I liked that..
yeah good move, shows faith in bowler and raises the moral of the bowler. i hope he keep him using in short spells . and VK and PK are anyday better then anything england has got on indian pitches. with their extra pace and no seem movement they are just sitting ducks for Indian batsmen. 2 new balls takes reverse significantly out of the question too. it a good time to be 80 mile swing bowler in india. Yes. I am saying he is the kind of bowler who can prosper in Tests. Whether he can be a success at Test level? I'm leaning slightly toward 'no' but I definitely think he should be given a go. but this is exactly the problem how do u know if tyson and the others were 155 or 160 with out a speedo meter ' date=' all one can do is read articles or watch some grainy videos to make up ur mind[/quote'] You need to believe former cricketers have played more than one generation, like Richie Benaud and others who saw both of them Tyson and Thommo as well as Holding and other West Indians. No Lillie was quick but more of Steyn, Morkal, Johnson, Roach kind of pace and Holding was similar too. but he is not exactly accurate enough. He does not move the ball much too. You said PK is good, yes, PK Is good because he can swing the ball both ways while VK does not have anything in his armery. Line and length alone does not get you wickets. His pace will be very dibbly dobbly without swing and movement. You are expecting too much from him, IMO. He too had suspect action and that too without any hyperextension. Other two maybe Tyson and Thommo. :hysterical: @ the absurd idea of VK in Test matches..
Just as absurd as Sreesanth in Test matches after his first year or two. but sreesanth was most successful only in his first year or two in WI and SA tour. dont think he was that quick. Exactly. Such a pity that he didn't have a long career. Imo, he was as good as Dale Steyn and that says a lot. PK will never become international standard by that yardstick. He is averaging 25 in tests. You are confused with good bowling and fast bowling. Not all fast bowlers are international standard. Example Sami. Not all slow bowlers are below international standard. Example guys like Tremlett, Asif, Praveen. vk is failing not because of lack of pace but lack of skills. Tremlett isn't a slow bowler. He can definitely bowl over 90mph, he just tends to hover around 80mph in Tests. He definitely can and does crank it up on occasions. Tremlett isn't a slow bowler. He can definitely bowl over 90mph' date=' he just tends to hover around 80mph in Tests. He definitely can and does crank it up on occasions. [/quote'] Totally agree. Tremlett is capable of bowling high 80's (maybe 90). Also, with tall bowlers, it is often more acceptable for them to bowl in the low 80's as they offer steep bounce. The Australian aboriginal fast bowler Eddie Gilbert was another fast bowler who generated extreme pace from a remarkably short run. Just 5 feet 7 inches tall and nine stone in weight he took wickets at a prodigious rate in the late 1920s in Queensland club cricket. He was chosen for Queensland against New South Wales Colts in 1930 and took 6 wickets, but the Brisbane Courier's correspondent "Long On" was moved to describe his whipped catapult action as "almost a throw". He was picked for Queensland's Sheffield Shield side and bowled with great success. Queensland selectors responded to complaints from New South Wales by filming his arm action in slow motion but took no action against him. His most famous spell came against Don Bradman on 6 November 1931. He dismissed the NSW opener with his first ball, a vicious bouncer, then knocked Bradman's bat out of his hands with the next. The next delivery knocked Bradman over and the third had him caught behind. A month later, playing against Victoria, he was repeatedly called for throwing. He played on for Queensland, bowling at a reduced pace, and in 1934-35 headed the Queensland averages. He was a victim of legislation outlawing intimidatory bowling, in the wake of the Bodyline affair, and retired in 1936, having taken 87 first class wickets at 29.21. He later suffered from mental illness. Whether we like it or not, the fact is that some of cricket's great talents have been lost to race equations and false propaganda. Whenever there was a fearsome non white bowler upsetting the general order of things the white world responded with an unanimous unspoken code of conduct to marginalize these bowlers. I think things changed only after Clive Lloyd had the guts to go thru with his plans in spite of the English crying foul. Australia’s Shame - Eddie Gilbert He was the cricketer who could have brought the English tourists to their knees during the Bodyline tests over the summer of 1932-33. A viciously fast bowler, who many considered the only man capable of dishing the medicine up to the English batsman when the crowds cried for revenge for their despicable display of Bodyline bowling. There is no doubt had he been given the opportunity, he would have written himself into Australian cricket folklore. A man, many considered to be the fastest bowler in Australia and possibly the world during the 1930's was not only denied the opportunity of playing against the English tourists, but was also, never chosen to represent his Nation. Why? I hear you ask, it's astoundingly simple to answer, because he was a "black man", an Indigenous Australian descended from the traditional owners of the place we all call Australia. I am referring to none other than Eddie Gilbert, an exceptionally gifted fast bowler who was never given the accolades by his peers, which he not only earnt through his cricket achievements, but downright deserved due to his talent with a cricket ball. Eddie Gilbert, one of the only bowlers in history who ever dismissed the great Donald Bradman for a duck. He was so fast with the ball, he is also the only bowler to ever knock the bat from the hands of Bradman, who later said of Eddie, "he sent down the fastest bowling I can remember of that time, he was much faster than Larwood or anyone else". It may be difficult to imagine a bowler who only took 3 to 4 steps, prior to bowling the ball was able to generate such ferocious pace, however, Eddie's deliveries were so fast, he once even injured his own team's wicketkeeper who doubled up in pain after being hit in the stomach by a ball delivered at a blistering pace. In 1931, during the Queensland v West Indies match he returned the excellent figures of 5 for 65, but still he was not considered for selection to the Australian team. Any hope Eddie had of ever representing his country were just that, hopes. I guess it will never be known if Eddie ever knew that his chances of representing Australia were nil. He was a "black man" who dared to be successful and excel at a sport that was considered to be a "gentlemans" game. It would never be accepted by the Cricket Establishment that an Indigenous Australian could be worthy of representing his country, they were going to make sure of that. It remains unknown, exactly who engineered the downfall of Eddie Gilbert, but will long live in the memory of many Australians how it occurred. During a match between Victoria and Queensland at the MCG in 1931, the umpire A.N Barlow, no-balled Eddie, a total of 13 times for what was described as a suspect action. In today’s terms this would be called chucking. From this moment on it was obvious the fate of Eddie was sealed, he was doomed to go the way of every talented indigenous player before him, and there had been plenty. The record books don't actually tell us if Eddie continued to play cricket after this time, but it is very doubtful he did. The only reference available after this match, shows a large gap in the playing career of Eddie Gilbert. He in fact, played no games between 1931 and 1935. His last game is recorded as being played in 1936. On 11 November 1936, Eddie Gilbert was given his final marching orders from the game. In a communication to the authority responsible for the management of Indigenous Australians at the time, the Secretary of the Queensland Cricket Association wrote "The matter of Eddie Gilbert has been fully discussed by the committee and it is decided, with your concurrence, to arrange for his return to the settlement". During this depressing time in Australia's history, all Indigenous persons, were required to live in a controlled area not unlike the Russian Gulags, called a settlement. Better known by many people, as a reservation. Every aspect of their lives was dictated to by the authority known as the Aboriginal Protectorate, subsequently these Indigenous Australians were nothing more than prisoners in their own land. Such was the oppression suffered by these people, Eddie Gilbert was required to obtain written permission every time he wished to travel for the sake of playing a cricket match. The final nail in Eddies coffin was also delivered by the QCA who demanded "the return of his cricket clothes to their office". Not only were the QCA prepared to push one of Australia's finest cricketers out of the game, they also wanted the clothes of his back. Needless to say, Eddie Gilbert disappeared into obscurity. It was not until 1972 that he was heard of again. Eddie was discovered in a mental institution totally incapable of any speach, he had been a resident there for 23 years. On January 9 1978, Eddie Gilbert passed away without even the slightest acknowledgment he had even existed. A shameful fact that should be redressed by cricket authorities and historians alike. well talent yes, but too inconsistent. not willing to improve. we just need to give up on him. he has played way too many tests and still yet to product consistent performance. For me he is another Agarkar. He still bowls like a bowler who has just started his career. In fact it would be safe to say that there has been no improvement in his game. 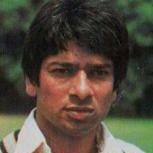 Probably he is among few bowlers in the world who represented their team for so many years without raising their game. Lack of pacers is main reason for this. He is not a 140+ bowler either. He can bowl few rare balls at 140-141. But most of the time he is at 135-136. Vibhash, just coz he bowled 135-136 in the recently concluded series does not change the fact that he is a fast bowler. Your memory seems to be very short. He has been playing since October 2005 and he has been fast more often than medium through out his career. And I don't mean to say fast = express. Fast is 140+. And what you mean by that? Do you mean that he was bowling 140+ consistently earlier? I have seen him from start and from whatever I recall he bowls around 135-136 most of the time with few effort deliveries going over 140. Almost all international pacers are capable of doing so during peak of their career. Tremlett isn't a slow bowler. He can definitely bowl over 90mph' date=' he just tends to hover around 80mph in Tests. He definitely can and does crank it up on occasions. [/quote'] Fact is his average speed was as good as Praveen Kumar. We are merely talking about speed here. Not bounce or swing. He is able to bowl at less than 80 mph and still pose a problem for batsmen. It is less than Vinay kumar's average speed. That is what Zaheer also mentioned. You have to understand what works for you and what doesn't work for you. Our bowlers don't have a clue about that except may be Praveen Kumar. He rarely goes outside his comfort zone hence he was more consistent than Ishant and Sreesanth. The speed at which Tremlett bowled at this summer was lower than what he can bowl at. Fact is his average speed was as good as Praveen Kumar. We are merely talking about speed here. Not bounce or swing. He is able to bowl at less than 80 mph and still pose a problem for batsmen. It is less than Vinay kumar's average speed. That is what Zaheer also mentioned. You have to understand what works for you and what doesn't work for you. Our bowlers don't have a clue about that except may be Praveen Kumar. He rarely goes outside his comfort zone hence he was more consistent than Ishant and Sreesanth. Praveen Kumar's average speed was not 80 mph, 80 mph was his fastest ball and average speed was 72-75 mph. Zak was right, but important thing is to have ingredients or skills to be fast bowler. Tremlett has height and PK has swing both ways. While VK has nothing that is why he is needs an optimum pace as he depends on line and length mainly. VRV singh used to have that. He used to bowl around 140k. But he was gun barrell straight. Kevin Pietersen clobbered him for 26 runs in one over. I am not saying Umesh is like VRV. He looks better than him. But he has a long long way to go. Fast bowling's number one enemy is injury. Even though we assume our coaches or management discourage them to bowl fast, thing is they themselves think they should bowl with control after they get hit around in a few matches bowling fast. or their body simply cannot take the load and start bowling slower.